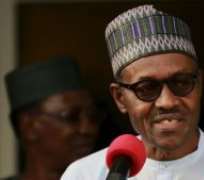 President Muhammadu Buhari says the country needs the support and prayers of all citizens to be fully successful in overcoming its challenges. He said this in his message to the nation on Monday on the occasion of the Eid-El-Maulud, the birthday of the Holy Prophet Muhammad. In a statement by his Senior Special Assistant on Media and Publicity, Mr Garba Shehu, the President extended greetings to Nigerians and Muslims at home and abroad. He also asked for prayers for the nation for peaceful electioneering as Nigeria embarks on the journey to democratic elections in 2019. President Buhari noted that the nation was making great progress under the All Progressives Congress (APC) led Federal Government. According to him, the areas include dealing with issues of security, the war against corruption, the reform and restructuring of the economy, and the provision of needed infrastructure. The President was confident that the Islamic ceremony of Eid-el-Maulud would help to promote mutual harmony and tolerance among all Nigerians.